OWC2017 is a 'must attend' event for all those interested in this growing market. 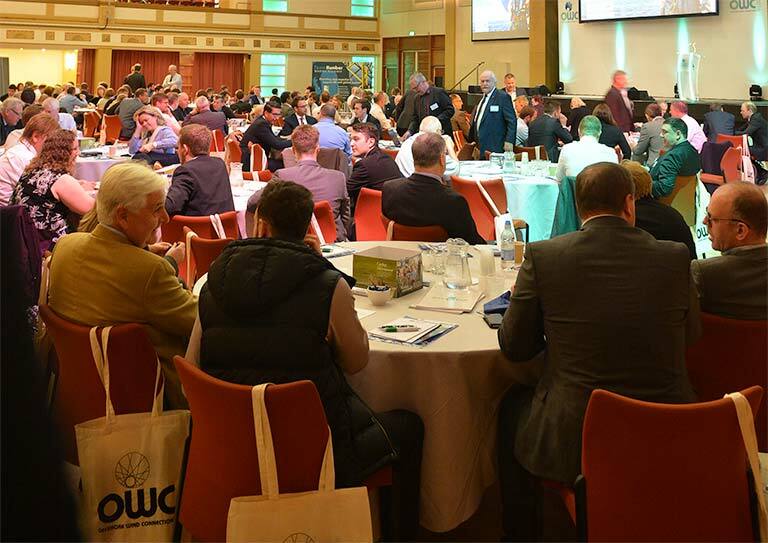 Offshore Wind Connections (OWC) 2017 will be the fifth Team Humber Marine Alliance (THMA) annual offshore conference. 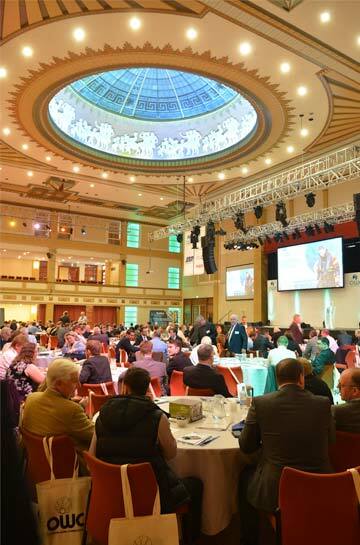 Attracting regional, national and international offshore wind delegates, the conference is on Thursday, May 4, at the Bridlington Spa, with a pre-conference networking supper with RenewableUK on 3 May. Wind farm developers, owners, industry trade bodies and companies along the length of the offshore wind supply chain will be attending.  The focus of OWC2017 is on the Yorkshire and the Humber region, which is at the epicentre of the offshore wind industry, and where billions of pounds are being invested in offshore and onshore infrastructure. Organised by Team Humber Marine Alliance (THMA) and supported by East Riding of Yorkshire Council, this is the perfect time and place to assess what our region has to offer. Three of the UK’s largest wind farms and 80 per cent of all North Sea offshore wind farms are on our doorstep, while 60 per cent of the entire European offshore wind project to be built by 2020 are within 12 hours vessel steaming time. OWC2017 is devoted to delivering business intelligence by creating opportunities for knowledge sharing and business networking throughout the day. Opportunity to attend the RenewableUK pre-conference networking reception on 3 May. With views along the coast to the Westermost Rough Wind Farm, The Bridlington Spa is a very fitting setting for OWC 2017! Come along and meet senior industry leaders and representatives from the Humber as well as national and international delegates. This is an informal evening providing a great opportunity to network, meet old friends and develop new profitable relationships. This event is free to attend for RenewableUK/THMA members and partners as well as OWC2017 delegates. Mayor Jon F. Mitchell is leading a delegation from New Bedford with representatives from local government, academia and business to visit the Humber from 2-4th May. The Mayor will formalise relationships with Grimsby to form a “sister city” agreement and also with THMA forming a Trans-Atlantic bridge between leading Offshore Wind regions. 08.00 4th May 2017 Registration - Welcome breakfast and networking. 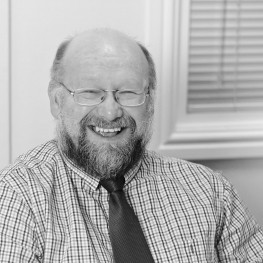 Mark, a seasoned Industrialist, has over 30 years experience in the Industrial/Engineering sector with significant UK, and International expertise of Strategy, Business Development, Marketing and Export. 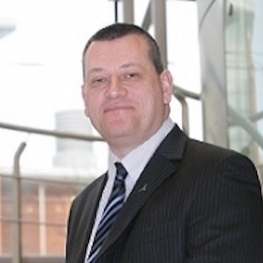 He is a member of the Regional Advisory Board for EEF The Manufacturers' Organisation, Humber LEP Marketing Group, Director & Chair of Employer Engagement at Humber University Technical College (Engineering & Renewables) and a Governor at North Lindsey College. For the past 8 years, Mark has been focused on the Marine, Maritime & Offshore industries, particularly around opportunities in the "Offshore Wind" sector endeavouring to involve local and regional companies in the supply chain. He has grown Team Humber Marine Alliance into a dynamic self-sustaining Business Development organisation with over 230 member companies. Lord Haskins brings a wealth of commercial, political and economic regeneration experience to his position of Humber LEP chair. He is the former chairman of Northern Foods and Express Dairies, former Board member of Yorkshire Forward Regional Development Agency (1998-2008) and is also currently a non-executive Director of JSR Farms Ltd as well as being a member of the Lords ‘Cabinet Office Equality and Reform Group Board’ and Pro-Chancellor of the Open University. As well as chairing the LEP’s Board meetings, Lord Haskins also leads meetings with ministers and is the LEP’s voice in Whitehall and Parliament. 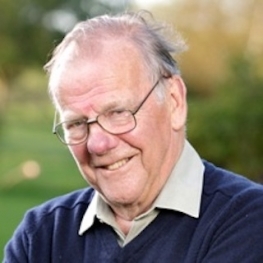 Councillor Stephen Parnaby has been an elected member since May 1979. Prior to the creation of East Riding of Yorkshire Council, as part of the mid-1990s reorganisation of local government, he served on Beverley Borough Council and Humberside County Council, both of which were disbanded in 1996. 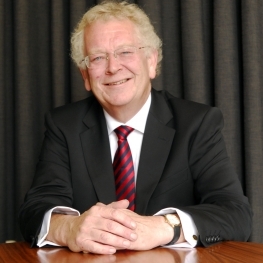 Councillor Parnaby was Leader of Beverley Borough Council from 1991 to 1996; and, since 1996 he has been Leader of East Riding of Yorkshire Council, which is the largest unitary authority in the country. As Leader he represents East Riding of Yorkshire Council on a variety of outside bodies locally, sub-regionally, regionally, and nationally. Councillor Parnaby is also an Improvement & Development Agency Accredited Peer and mentors leaders of councils across the country. As the longest serving council leader in the Yorkshire region Councillor Parnaby was awarded the OBE in the 2008 New Year’s Honours List for his services to local government. Taking office in January 2012, Jon Mitchell is New Bedford’s thirty-eighth mayor. In November 2013, he was the first sitting New Bedford mayor since 1866 not to be opposed for reelection. He was re-elected again in November 2015 by a decisive margin. Jon has sought to re-establish New Bedford as one of the leading cities in the Northeast. Since he took office, New Bedford has moved aggressively to reform its school system, to modernise the Port of New Bedford, to solidify the downtown’s status as the cultural and economic centre of Southeastern Massachusetts, and to raise the quality of life of every neighbourhood. Under Jon’s leadership, New Bedford has emerged as a national leader in renewable energy, and has witnessed both its unemployment rate and its high school dropout rate plummet. Jon served six years in the Army National Guard. He is married to Ann Partridge, a breast cancer doctor and researcher at the Dana Farber Cancer Institute, where she founded and directs the Institute’s Program for Young Women with Breast Cancer. They are the proud parents of three daughters, Grace (14), Natalie (12) and Lauren (10). In September 2016 the Massachusetts State Governor signed a Letter of Intent with DONG Energy, Deepwater Wind and OffshoreMW to lease the New Bedford Marine Commerce Terminal as a staging and deployment location for future wind projects. The agreement with the developers, who hold leases in the federally identified offshore wind energy development areas located 14 miles south of Martha’s Vineyard, builds upon the Commonwealth’s commitment to a diverse energy portfolio and position as a national leader in offshore wind, and will strengthen the state’s clean energy economy. 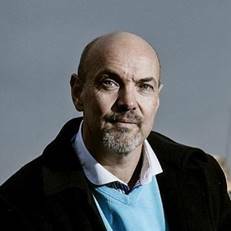 Scott Urquhart is the Head of Finance for DONG Energy’s Race Bank Offshore Wind Farm in the United Kingdom. Located off the north Norfolk and Lincolnshire coasts, when commissioned in 2018, Race Bank will have a capacity of 573 megawatts and provide clean, sustainable energy to some 500,000 homes, saving more than 830,000 tonnes of CO2. Since joining DONG Energy in 2011, Scott held leadership positions in cost reduction strategy for offshore wind and commercial analysis for key negotiations. Most recently, he is responsible for the investment recommendation for the Race Bank project in 2015 and continues with overall responsibility for all finance activities through the ongoing construction phase. Before joining DONG Energy, Scott worked in energy finance with Macquarie Group and FirstEnergy Capital in the United Kingdom, and as a petroleum engineer with Pengrowth Corporation in Canada. Scott holds a degree in Mechanical Engineering from Dalhousie University in Canada and Masters of Business Administration from the University of Calgary in Canada. Following a BSc from Aston University and a PhD from Aberdeen in biological science, Giles enjoyed a successful early academic career. 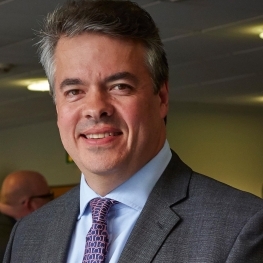 He joined the University of Hull as Research Support Officer, supporting a number of successful University projects before starting a 4 year post with Hull’s £50m Millennium Project, The Deep, where he became Deputy Chief Executive. On completion of The Deep, Giles returned to the University, and was appointed to develop the new Hull York Medical School, serving as the founding Medical School Secretary and Head of Administration until 2013. In 2012 he obtained a PG Diploma in Public Leadership and Management from the University of Warwick. 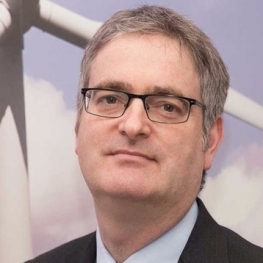 He is currently leading the team working on Aura, an initiative of the University of Hull, Siemens, DONG Energy, Green Port Hull, Hull City Council and the Humber LEP, working with the Offshore Renewable Energy Catapult (OREC) and other key stakeholders. The vision is to create a world leading offshore renewables talent, research and innovation hub. The hub will support the developing offshore wind sector towards sustainability and help establish it as a vibrant industry in the Humber – the UK’s Energy Estuary - for the benefit of the region, the country and the sector. 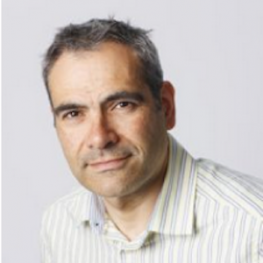 “Alex is a well-known figure in the British renewables industry. Since 2005 Alex has been involved in the development, planning and construction of on- and offshore wind as well as tidal projects across Europe with a focus on Germany & the UK. He has been a Project Manager, a Project Developer and worked for some industry leading Tier 1 & Tier 2 service and equipment suppliers in Sales & Business Development functions. His focus has been the subsea power cables industry since 2012 and he joined Siem Offshore Contractors in August 2013 as their Business Development Manager. 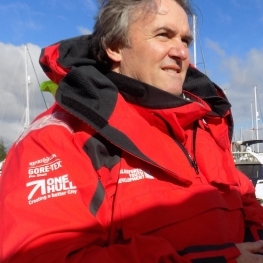 Originally from Braemar, Neil Gordon initially trained as a commercial diver and spent eight years carrying out numerous diving assignments in the UK and Norwegian waters involving new construction projects, pipeline surveys, welding and inspection. 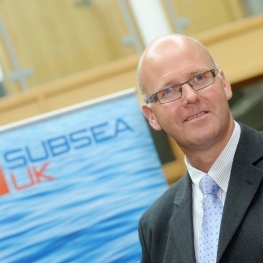 He has over 20 years' management experience in director and business development roles, combined with over 10 years in the subsea industry. Chris Garrett has over 8 years experience working specifically as an OWF Installation Engineer @ DNV-GL – this work has included FEEDs, cost modelling, ports & logistics on Southern North, Irish, and Baltic Seas, US, China, & Korea. As a former crane barge mobilisation specialist with a marine civil engineering contractor, he was involved in building piled-quaysides, jetty, and Ro-Ro facilities as well as rock armour bunds for coastal and harbour-defences, & land-reclamation and regularly works on ports and logistics assessments for offshore wind projects. He has spent several months offshore on Borkum West II in a wide variety of Offshore Client Representative roles including UXO clearance, bubble curtaining, grouting and diving operations. 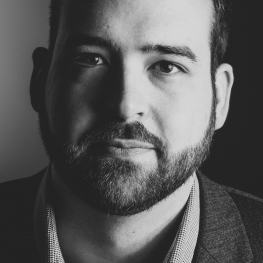 Chuck co-cofounded NovaVis, a next generation technology platform which has a focus on global Offshore Alternative Renewable Energy Supply Chain economies and logistics. The platform is a live ecosystem connecting suppliers, developers, service suppliers, industry associations, educational institutions, and workforce development initiatives in a constantly engaging and an ever evolving social framework within intelligent meeting spaces. More than a resource, NovaVis is a thriving platform, both creatively and commercially for an exceptionally dynamic industry. 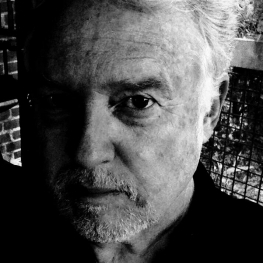 Originally from New Orleans, Chuck’s background includes global offshore maritime energy construction and operations including the designing and management of marine and non-marine risk transfer products and programs, multi-strata indemnification platforms, contractual documents, vertical integration supply chain logistics strategies in the United States, Canada, Guam, the Bahamas, Central and South America, the UK, France, Italy, Middle East, Afghanistan, Sri Lanka, Thailand, India, Indonesia, Vietnam, and China. He serves on multiple marine and non-marine related boards. 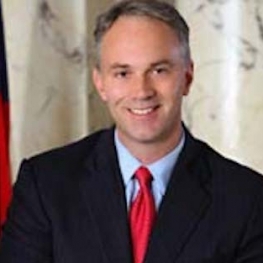 Was a member of the Virginia Governors International Trade Alliance and is the current Chairman of the Virginia Offshore Wind Coalition. Karl John - Specialist within the Department for International Trade’s Renewable Energy team. 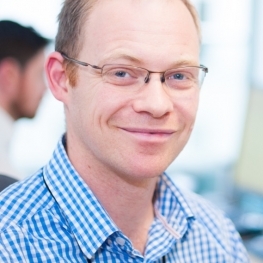 Karl is a Specialist within the Department for International Trade’s Renewable Energy team. Previously to joining DIT/UKTI Karl was on secondment to the BIS/BEIS team responsible for delivering of the Offshore Wind Industrial Strategy in 2013. 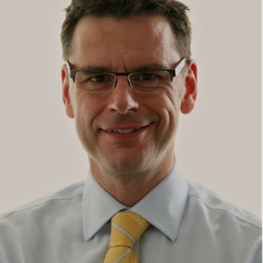 Prior to joining HMG Karl was the Vice President for Vestas Offshore UK and Country Manager for Areva Wind UK. 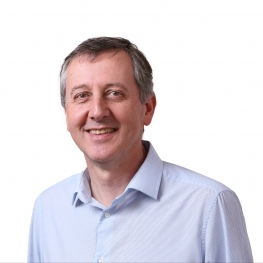 A mechanical engineer at heart spending 20 years in Automotive consultancy (Ricardo) – supporting the diversification into clean tech at Ricardo. Master Mariner with over 33 year’s maritime experience from a variety of offshore industries. Past 16 years engaged in submarine cable installation, trenching and maintenance operations initially in roles offshore culminating in Captain or Offshore Manager of cable vessels before transferring to shore based roles within Operations and Business Development Management. 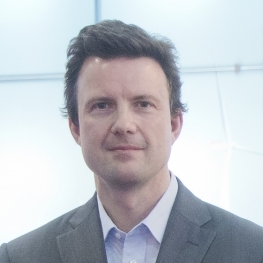 Dr. Tom Harries is an associate at Bloomberg New Energy Finance. 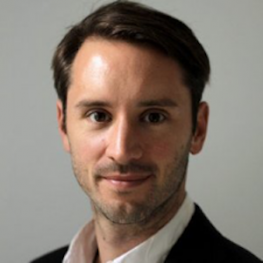 Tom has focused on offshore wind and specialises in policy, technology analysis and financing. He specialises in research on future cost reduction pathways for conventional offshore technology, floating technology and the impact of auctions on the sector. 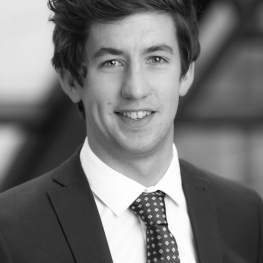 Prior to joining Bloomberg New Energy Finance in 2014, Tom completed a PhD in Engineering at Cardiff University. His doctorate focused on tidal stream turbines, where he designed, tested and patented a new turbine design. He also holds a Masters in Civil Engineering. Bruce leads Business Development for CWind, with a specific focus on developing new markets, partnerships, services and creating comprehensive service packages that respond to the latest market requirements. Successfully launched in the UK in 2010, CWind now works with clients in the offshore wind industry internationally, with a principle focus on Europe. CWind’s services have been designed to move the industry beyond nearshore projects to farshore locations and beyond multiple subcontracting to integrated single source third party relationships, to create the foundation for enhanced project efficiencies and reduced levelised cost of energy. Bruce’s focus is on establishing partnerships with utilities, turbine and cable manufacturers, as well as potential partners and OEMs to enable the realization of innovative new models and revenue generating services. 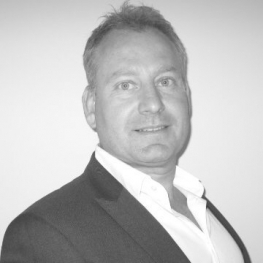 Bruce has worked in and around the business development space since the early 1990s and has a deep knowledge of the UK and European market, and in particular what will finally drive efficiencies in this market. He has previously consulted for a range of international blue chip companies working in the training, IT, FMCG and financial services areas whilst working at a boutique marketing consultancy. Paul Vigeant is the Managing Director of the New Bedford Wind Energy Center in New Bedford Massachusetts. The Wind Energy Center builds local capacity to support development of the offshore wind industry in New Bedford and integrates those economic development activities with the City’s comprehensive economic agenda. The Wind Energy Center is the platform to position New Bedford as the premier location for a wide range of business development and investment opportunities associated with the emerging U.S. offshore wind industry. Mr. Vigeant serves as the Vice President for Workforce Development and External Affairs at Bristol Community College in Fall River, Massachusetts where he is a member of the President’s Cabinet. Prior to joining Bristol Community College, he worked for more than twenty years at the University of Massachusetts Dartmouth as the Associate Vice Chancellor for Economic Development. 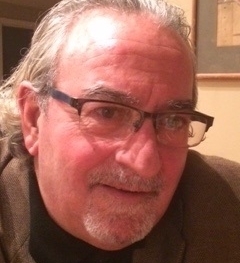 Mr. Vigeant serves on the Board of Directors of the New Bedford Economic Development Council and several other community-based organizations. He has more than 35 years of experience and a Chief Executive Officer or Senior Executive in workforce & economic development, as well as, finance capital formation. He is a graduate of the University of Mass Dartmouth & he earned his Master’s in Public Administration from the University of Rhode Island. Scott has over 30 years’ experience within the Oil, Gas and Renewable Energy sector and is the Operations and Maintenance Director within the James Fisher Marine Services - Renewables Services Division, where his role sees him responsible for the companies complete Operations & Maintenance offering including all aspects of offshore asset support, from helideck or blade tip to pipeline or cable shore landing. Scott started his career as an apprentice working for an offshore engineering company before rising through the ranks. Scott has held a number of leadership roles, including Managing Director of an offshore organisation where he was responsible for leading the business through significant growth, restructuring and expansion into new markets and service lines. Scott was also the Eastern Hemisphere General Manager for a global energy services company within the pipeline and petrochemical sector as well as being the Operations Manager for an engineering and manufacturing company. As a member of the board for both the Norwich based “University Technical College” and the East of England Energy Group’s “Skills for Energy” program Scott is passionate about introducing talented young people to the energy industry. World Marine Offshore (WMO) is an international Danish shipping company operating in Denmark, Germany, Great Britain, Netherlands, Belgium and France. WMO has specialized in offshore logistics, maritime management and subsea services in order to meet the increasing demand for cost effective, safe and efficient services. Jimmy K. has an educational background as Marine Engineer and with specializations within Project Management, Finance and Organisation. 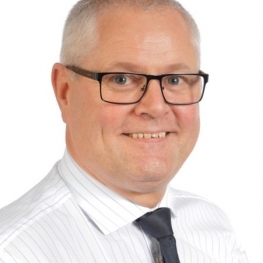 Jimmy K. has +30 years’ experience in the maritime industry with previous C-level positions in Danish and international maritime companies, for example, as Chief Technical Officer in ESVAGT A/S. Offshorenergy.dk is Denmark’s national cluster organization and innovation network for the offshore industry. Offshoreenergy.dk is a member-based non-profit organization with 230+ members across Offshore Oil & Gas and Renewables with overall purpose of gathering the offshore sector’s players, strengthening the offshore industry’s innovation capabilities and enhancing cost-reduction through strategic partnerships between offshore companies, universities and technical service providers. 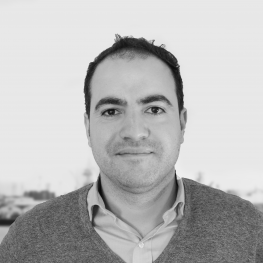 Gustavo has joined Offshoreenergy.dk organization in 2014. He holds a BA in International Sales & Marketing Management. Since he has been involved in a variety of projects within the Offshore Oil & Gas and Renewables sectors with focus on boosting Danish SMES internationalization capabilities via collaboration with local, regional and international offshore hubs. All tickets include access to the conference and exhibition on May 3-4, 2017. Bridlington Spa is easily accessible by both road and rail, with Bridlington railway station and a host of town centre car parks all within 10 minutes walk from the venue. Bridlington is on the East Coast line offering connections from Hull and York to all other destinations throughout the country. On arrival turn right out of the station and cross the coach park onto Hilderthorpe Road. Go straight across and along New Burlington Road until junction with West Street. Turn left and then right onto Neptune Street. Bridlington Spa is visible straight ahead.